Whitmores is recognized for creating the most remarkable landscapes in the Hamptons. With a host of extensive services and a talented team, Whitmores attends to every aspect of your exterior details. 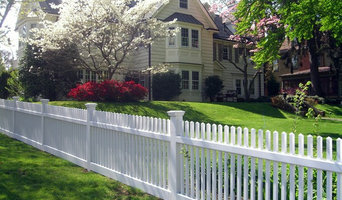 East Hampton Fence & Gate and East Hampton Masonry Providing services for all your project needs from basic fence and gate maintenance to major upgrades and improvements. Landscaping Service: Bay Gardens is Long Island's premier destination for Outdoor services and products with over 50 years experience as a leading Landscape Contractor in the area. 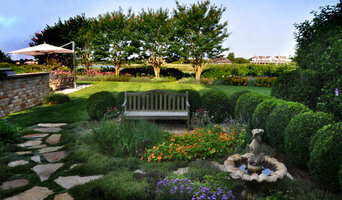 Bay Gardens harmonizes this wealth of experience and unparalleled product line to create unique Landscapes on each of its projects. Garden Center: Bay Gardens is a retail garden center located in East Moriches, New York stocking a complete line of quality plant materials, pottery, outdoor furniture, garden supplies and much more. Having a retail location, allows us the capability to share our knowledge and experience with our customers as well as offering them the highest quality products. Whether you are a "do-it-yourselfer" or you plan to use one of our many services, Bay Gardens assures that every customer's gardening or landscaping experience is a successful and pleasurable one. Satisfaction is guaranteed with the purchase of any of our nursery products. Visit our Landscaping page for examples of our capabilities and landscapes created with our products and services. The Whitmore family has been in the landscaping, nursery and gardening business, serving the Hamptons since 1945. From landscape design and large tree installation and preservation, to providing the highest quality plant materials and year-round maintenance, you won’t find a team with more expertise or local knowledge. We are proud to keep our clients happy for years, and even generations. Trust Whitmores to enhance the beauty and value of your property. Protecting, Nurturing and Beautifying Nature in The Hamptons. Michael Sperber, Owner and President, is International Society of Arboriculture Certified Arborist, Certified Pesticide Applicator and Certified Organic Landscaper with a degree in Ornamental Horticulture. We offer traditional as well as organic programs to care for your lawn, plants, trees, shrubs and bushes year round for residential and commercial properties. *Authorized Techo-Bloc Dealer* Guerrera Landscaping was founded in 1979 by Michael Guerrera. At that time, lawn care was the only service offered. Since then, Guerrera Landscaping, LLC has grown into a family business. Between four and six full-time employees round out an energetic, experienced team. Your journey to achieving a professional landscape starts with Guerrera Landscaping LLC. With over 35 years of experience, we're able to design your ideal landscape while staying within your budget. Our expertise allows us to steer clear of costly mistakes, and create a finished product that exceeds your every expectation for years to come. Guerrera Landscaping LLC was founded in 1979 by Michael Guerrera. At that time, we only offered lawn care services. Since then, the company has grown into a true family business, with wonderful employees who round out an energetic, experienced team. Guerrera Landscaping LLC now offers complete landscape and hardscape design, retaining walls, lawn repair and anything else you would from a top tier, full-service landscaping company. We want to turn the outdoors into a living space that you'll truly enjoy. Call us for FREE estimates!